Watch full Ginga Eiyuu Densetsu Season 1 Episode 9 English Subbed full HD online. Ginga Eiyuu Densetsu Episode 9 English Subbed online for free in HD. The Klopstock Incident. Thirty years ago, marquis Klopstock was exiled form the imperial court. He asks prince Braunschweig, the Emperor’s son-in-law, to ask forgiveness on his behalf. Braunschweig invites him to his daughter’s birthday party. Klopstock’s real goal is to bring a bomb in order to kill the Emperor, who will be there. 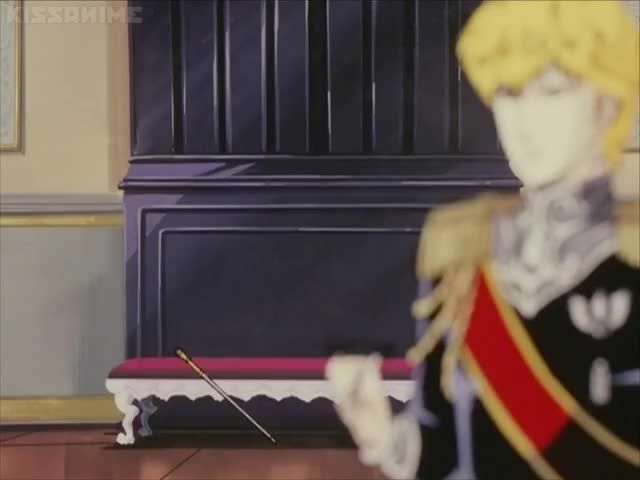 At the party, Reinhard clashes with baron Flegel. The bomb is taken away by accident and makes little damage. Klopstock commits suicide and the incident is kept secret.